HELLO SIR, WE ARE DOING A FUNDRAISER TO HELP OUR SCHOOL’S BAND PROGRAM. WOULD YOU BE INTERESTED I HELPING? 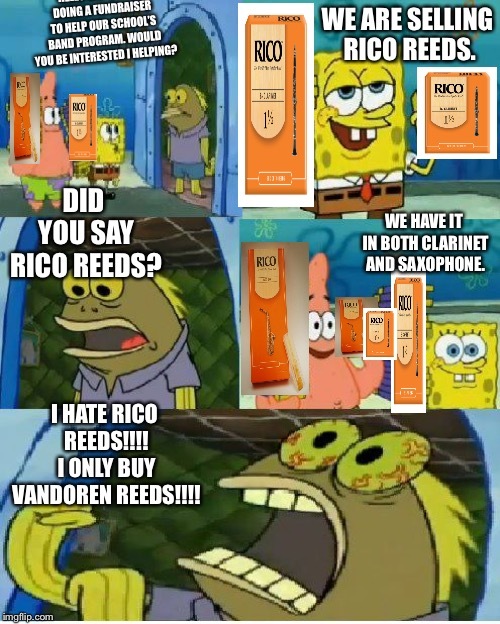 WE ARE SELLING RICO REEDS. 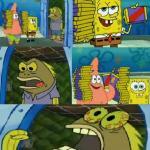 DID YOU SAY RICO REEDS? WE HAVE IT IN BOTH CLARINET AND SAXOPHONE. I HATE RICO REEDS!!!! I ONLY BUY VANDOREN REEDS!!! !